I caught my first salmon almost by accident. Canvassing a beach on Montague Island for glass fishing floats, we came across a creek so choked with pinks, I tried to bear-hug one out of the current into my arms. I ended up with a soaked chest instead of a fish, so we changed tack and pilfered a scrap of fishing net from the tideline debris. My friend and I spanned the width of the narrow creek with the net taut between us while my husband waded downstream and herded the salmon toward our makeshift strainer. Most of the fish evaded capture, but one poked her head through a small hole in the tattered net and stayed stuck, becoming my first catch. We cooked over a smoldering driftwood fire and though it was “only” a pink, that fish easily makes my Top 5 Salmon Dinners of All Time. In the sixteen years since, I’ve caught wild sockeye, silver, pink, and king, with a rod and a dipnet and once–a near-escapee in the shallows of the Kenai–with a perfected bear-hug grab. My family Outside is used to salmon stories, studded with details. The remote Copper River and its thick, concealing silt or the crowded Kenai, a subsistence pageant whose beach diversity rivals an Oakland subway stop. The vinyl toolkit of trusty Xtra Tufs and slimy Grundens and orange elbow gloves and coolers big enough to lie down in. The bears and gulls who scavenge the eyes and brains we leave behind. Most vivid of all, the color—that saturated pinkish-orange so distinct that even fruit so hued are named for the fish: salmonberries—and the flavor, a delicate fleshy taste that I love fresh-cooked on a beach fire in June, and just as much in March, slightly freezer-burnt and pulverized with garlic and egg into a tasty burger. My brother and his wife recently moved to Alaska—lured, in part, by my salmon stories– and this past summer brought their inaugural dip-netting excursion. In mid-July, they took long weekends from work and we drove down from Healy with coolers, nets, food, wagon, ironing board, dry bags, ice and headed for the Kenai. (The Copper, though it would recover later, was posting late, low and unpredictable runs.) Even with schedule timed to the tide charts, we stood in the current for hours before one of us caught a single fish. “Patience is required,” we counseled. Which it is. We kept four nets in the water despite the tedium, but tide in and tide out brought the same–nothing. “It turns on like a switch,” we reassured. Which it can. But for nearly 48 hours, the switch stayed off. A late evening tide change brought in most of our catch, a measly 11 fish split between four. A few folks did better, but the beach consensus was brutal—worst year in recent memory. “Getting skunked is a rite of passage,” we consoled. Which is true. Anyone who’s practiced subsistence food-gathering in Alaska knows that scarcity and abundance are part of the deal. Over the years of my legal residency, I have “limited out” in hours, and once, gone so completely skunked that 7 of us shared 13 salmon, a take-home only slightly bigger than the serving at a tourist-trap restaurant. Every long-time dip-netter shares this history: famine and feast. Still, for anyone who counts on salmon to fill their freezer and loves the ritual of doing so, last summer was troubling from start to finish. Anecdote is not, of course, data, and we’d be remiss to panic about fishery health based on an isolated bust. But many fish biologists, climate scientists, resource managers, commercial fishermen and residents concur: Alaska’s wild salmon population faces uncertain times. Governor Walker has declared multiple fisheries an economic disaster in the last three years, most recently near Chignik this August. (Homer City Council is currently petitioning him to do the same with the Upper Cook Inlet fishery.) After record-high catches in recent years, ADF&G’s 2018 data shows the upper Cook Inlet sockeye fishery down 70% in both numbers and dollar value, compared to the ten-year average. Sharp rises and steep plunges in any population do not predict long-term sustainability. It’s easy to glaze over at statistics. Historic patterns, centuries-long records, and typical data sets are being upended at a near-daily rate and issue fatigue makes it hard to let it all matter. But when experiences echo data, it sticks. Introducing my brother and sister-in-law to dip-netting during the worst run in my memory makes “economic disaster” ring true. Even before I’d heard official pronouncements on the season, I felt twinges of worry over the poor run. That weekend as I stood hip-deep in the Kenai not catching, I closed my eyes (nothing to watch anyway) and indulged in a thought experiment. What if this is it, the new normal? What if salmon runs lessened, little by little, until one year, they didn’t return at all? What if, by 2025, this beach stayed empty in July, because word had gotten out that it wasn’t worth the time or money? What if, a decade out, Alaskan kids heard their parents’ salmon stories while eating frozen tilapia fillets from Costco? What if someday the nutrient-dense, culturally precious, eons-old fish that was once endemic to this region and intrinsic to its identity goes…extinct? Hold on, some of you will say. It’s just a downturn. Nature has cycles. Commercial fishing is the cause. The problem’s in the oceans, not the rivers. No one can tell the future. All of which may be true. But in the face of unknowns, it pays to be conservative, to protect what we can’t get back. In the face of uncertainty, the imagination can be very instructive. Try it. Drop, for a moment, your entrenched position, your optimism, your skepticism, your annoyance. Close your eyes and imagine a future without salmon. Do you care? If yes, what’s it worth to prevent that? 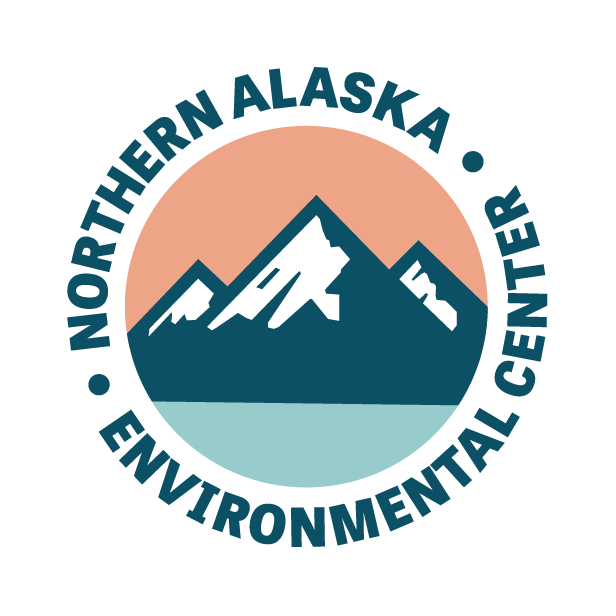 Contrary to what the Orwellian “Stand for Alaska” and its Big Oil backers would like you to believe, Ballot Measure 1 was not conceived by anti-development, lower 48 “greenies” behind closed doors. This long-overdue update to current protections (co-written by a tribal leader, a scientist, and a small business owner/commercial fisherman) is an attempt to modernize and clarify an enforceable set of standards that require the State to consider fisheries when permitting development projects. In light of recent pressures on salmon fisheries—declining ocean health, unstable markets, economic downturns, rabidly anti-conservation bias on the federal level—citizens of all stripes worry that there is no leverage protecting the longevity of healthy, wild salmon. At its core, Ballot Measure 1 is an example of participatory democracy. The salmon protection measure on the ballot before us next week represents a lot of people standing up and saying to the powers-that-be in one, loud voice, “You need to ask us what we think about projects before you permit them. We value our shared land, and our healthy salmon fisheries. We have a right to give input on how they should be managed.” It’s that simple. Ballot Measure 1 is not a rubber-stamp, a slap on the hand, a power grab, or a bait-and-switch. It is a public, communal request: listen to us. For the sake of the salmon, the economic share they represent, and the soul of our state they bear up on their humped backs, I hope that we’re heard. Christine Byl is the author of Dirt Work: An Education in the Woods, and other stories and essays. She lives and writes in Healy, and works all over Alaska as a trail design/construction contractor.. Read more at christinebyl.com.